Atlee Little League welcomes you to the 2019 Virginia District 5 Little League Tournament. This tournament resource page has been designed to provide you with information regarding the tournament and our complex. Latest tournament results and schedules for baseball and softball are noted below. If inclement weather, please visit the Atlee Little League Field Status Page for the latest updates on field conditions. Atlee Little League is comprised of nine fields on 50 acres all of which is privately owned and maintained by many volunteers. Concessions will be open every day of the tournament at least 45 minutes prior to the first game and will close approximately 45 minutes before the end of the last game. You will find many choices on our Concession Stand Menu that will be sure to keep your family fed. We hope that you find your time here enjoyable and satisfactory. We wish the best of luck to all of this year’s participants. Large crowds are expected for the tournament. Please observe the following parking recommendations so that we can accommodate everyone safely and efficiently. Handicap parking is available in the front parking lot. If you need transportation assistance to a field please contact someone in our concession stand so they can have a board member assist you. 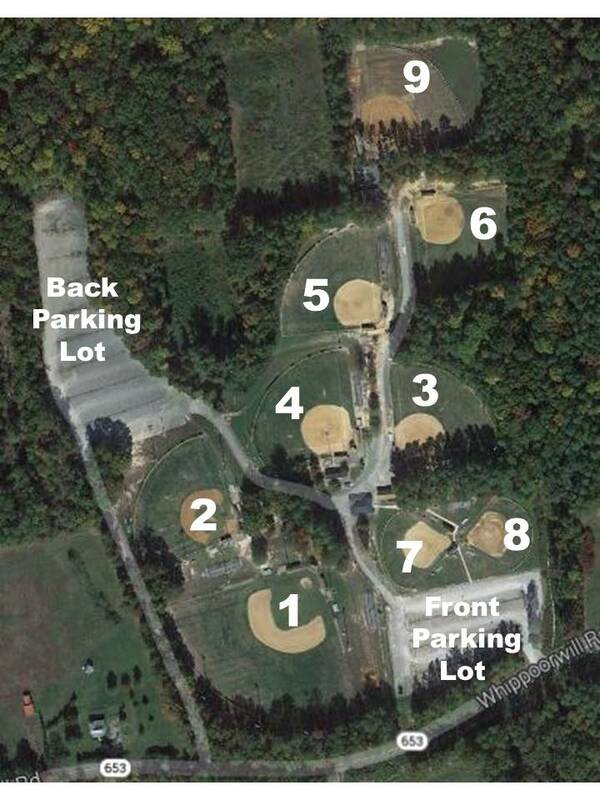 Parking inside the inner gates will be reserved for district staff only and board members of Atlee Little League who are helping run the tournament. Please observe all signs in regards to no parking and compact cars only. Five District 5 tournament championships will be broadcast live on WHAN “The Mater” (1430 AM or 102.9 FM). Participating players in these championship games will be asked to complete a fun profile sheet for the radio broadcast to reference during the play-by-play. For more information about the broadcasts and to listen to a complete broadcast replay, please visit our Radio Broadcasts page. Please do not park alongside Whippoorwill Road. This may impede the traffic on the road along with hindering the movement of emergency vehicles. If any extra parking is needed, please use the Kersey Creek Elementary area. The school is approximately one block away. Hosting a tournament of this size requires many volunteers. Each league around the district is required to fulfill their allotted number of games. The following dates have been announced for each division. The projected end date may fluctuate due to weather. Tournament brackets can be found by clicking on the age division.